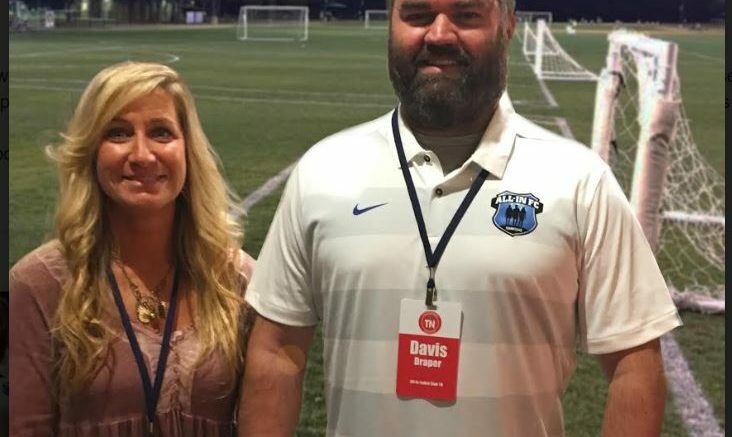 CRYSA, Crossville Recreational Youth Soccer Association, announces that Davis Draper with All-In Futbol Club TN is the new Director of Coaching for CRYSA. Coach Draper, who started All-In Futbol Club TN in 2017, has a long history with youth soccer and runs a highly successful, competitive travel program in the Cookeville area and surrounding counties. All-In Futbol Club is a soccer club for boys and girls from age 6-18 with over 200 players. Draper holds his USSF National B License and is currently working on his USSF National A License. Davis trained at the Vogelsinger Soccer Academy in California and played in the TN Olympic Development Program in his youth and also holds a NSCAA Director of Coaching Diploma. He also coaches several Select & Academy teams at All-in. The partnership with CRYSA and All-In Futbol Club TN will encourage growth to our already successful Rec program and increase player development at early ages through fun opportunities for play. As with All-In, the focus will be on coach and player development. Rec soccer should be about having fun, but we also want the kids to learn technical skills that will allow them to progress from CRYSA to CFC Pre-Academy into the All-In Academy and then on to Select soccer with All-In. Games will begin in April in Crossville. Coach Aaron Alva will continue to serve as the Pre-Academy Director with Daniele Azzani and Manuel Fuentes leading training for Pre-Academy players. Desmond Bracero will serve as Rec Director. Be the first to comment on "All-In FC TN Partners with CRYSA"